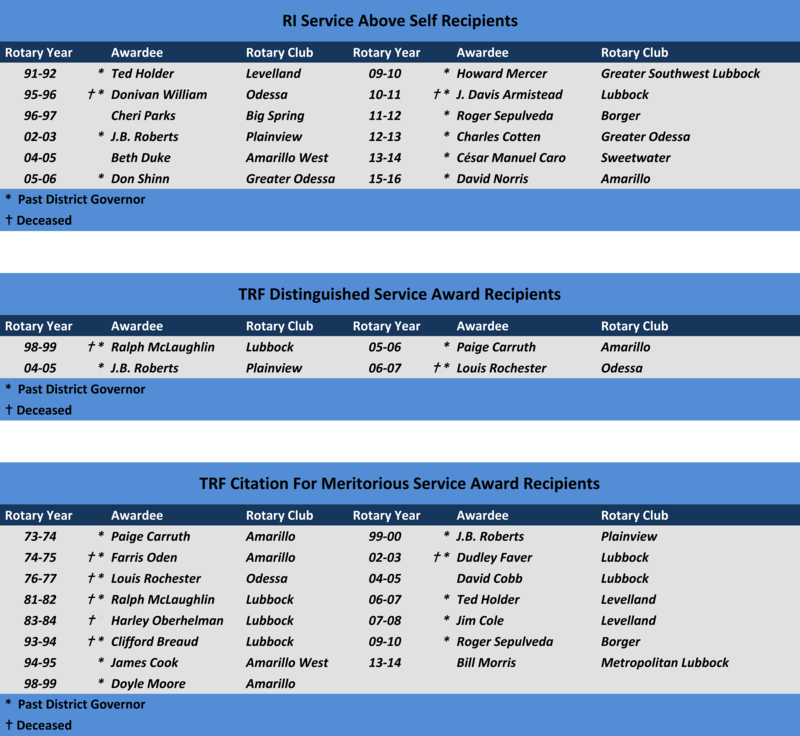 RI Service Above Self Award, The Rotary Foundation Citation for Meritorious Service Award, and The Rotary Foundation Distinguished Service Award. As Rotary’s highest honor for individual Rotarians, this award recognizes up to 150 Rotarians annually who have demonstrated exemplary humanitarian service, with an emphasis on personal volunteer efforts and active involvement in helping others through Rotary. Current district governors, directors, and past directors may nominate up to three candidates by 1 September each year. Four complete Rotary years after receiving the Citation for Meritorious Service, a Rotarian becomes eligible for the Distinguished Service Award. Because this is the Foundation’s highest service recognition, a recipient’s exemplary service to the Foundation must extend beyond the district level and occur over an extended period of time. 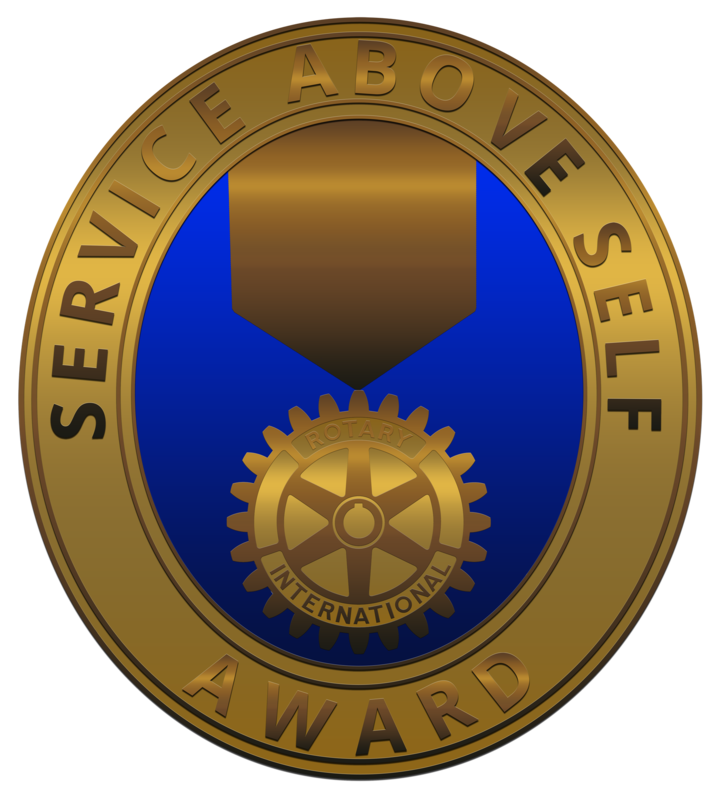 This award recognizes Rotarians who have demonstrated active service to The Rotary Foundation for more than one year.